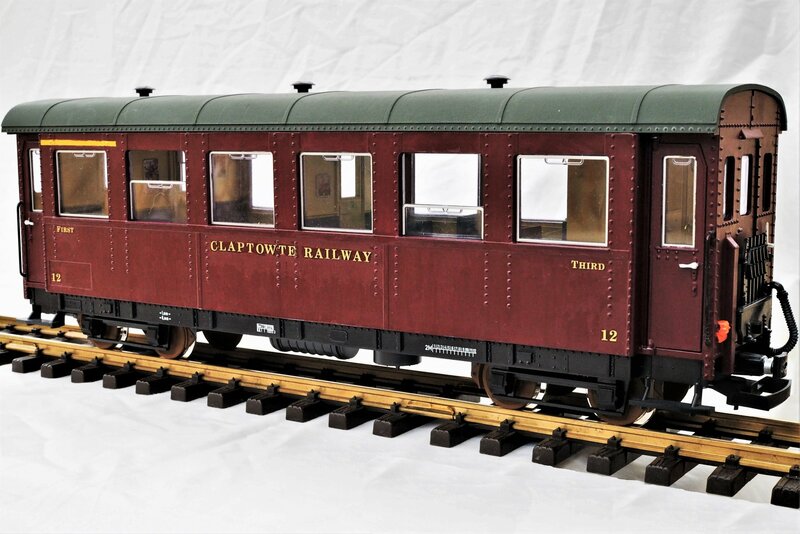 This is the ninth coach constructed for the Claptowte Railway passenger fleet. 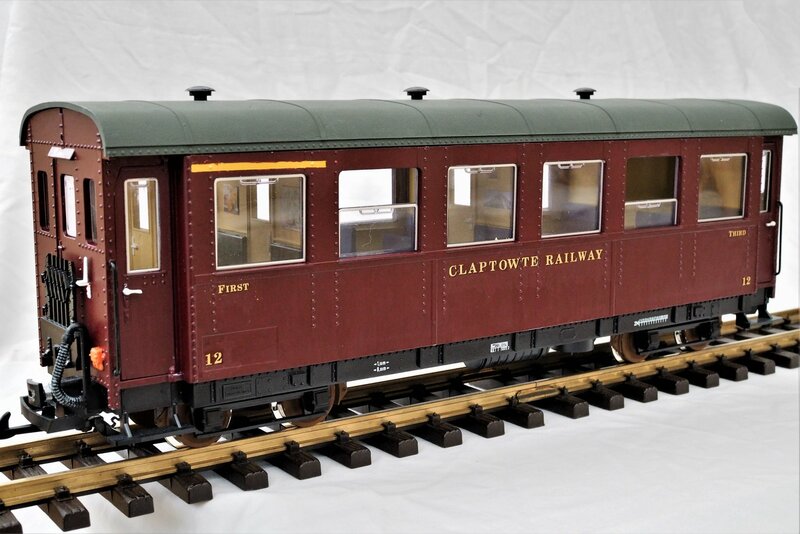 Its running number is 12 in the fleet and is a 1st/Third class based on the LGB Zillertalbahn Austrian coach. 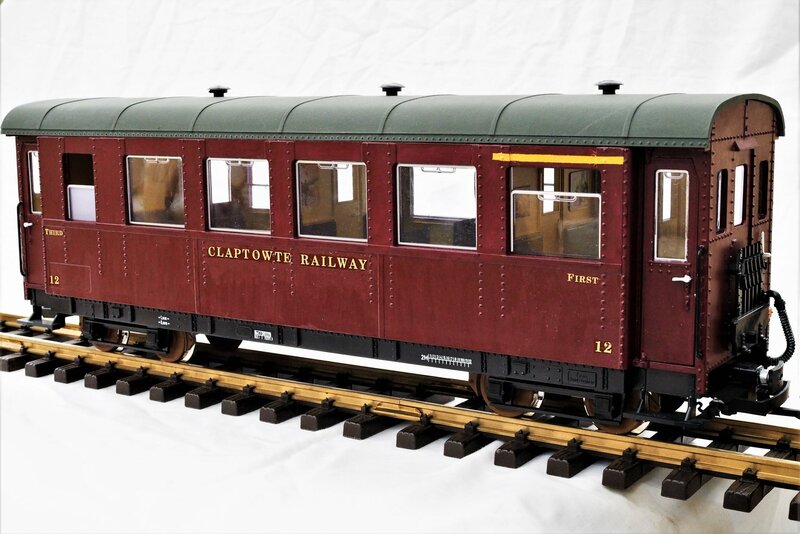 It is the twin of Coach No 13 and conversion details can be viewed by clicking on the construction details of Coach No 13 below. 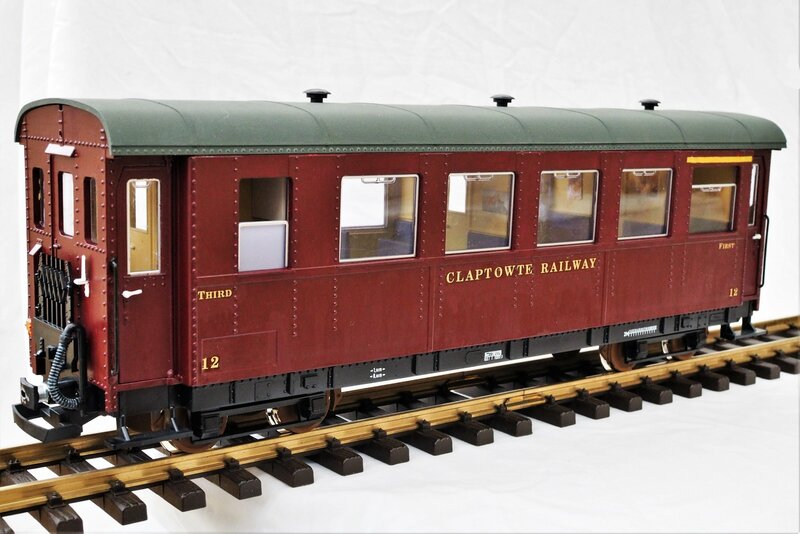 This conversion is the simplest of all of my fleet of passenger stock. 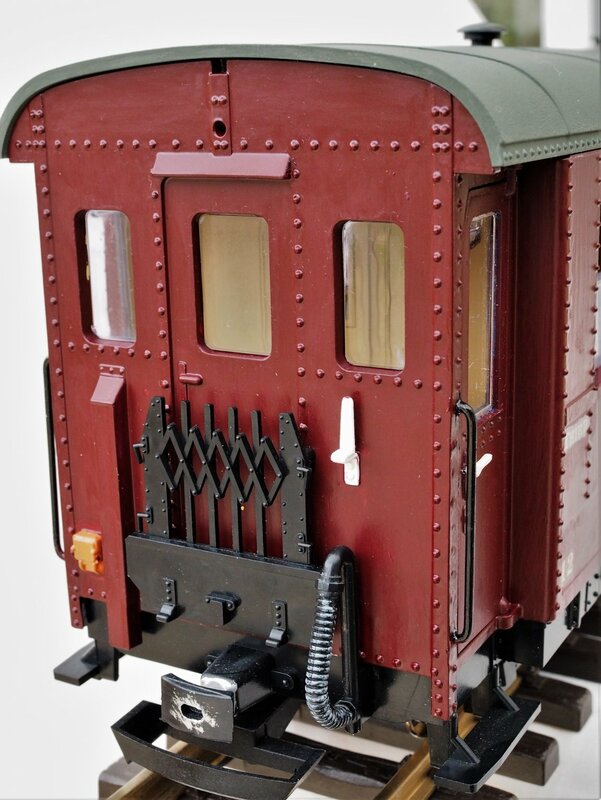 The only external modifications were to carve off the four moulded handrails, next to the doors, and replace them with brass wire. 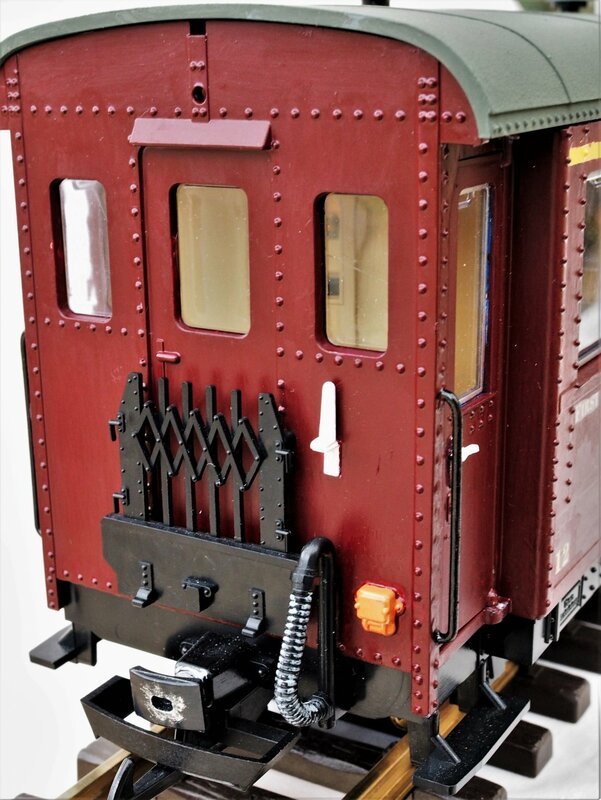 This also necessitated adding rivet detail on the corner strapping behind the new handrails. This was done with blobs of white PVA wood glue. The only other additions were to add GRS etched lamp irons each end and change the wheels for Al Kramer nickel plated turned brass ones. 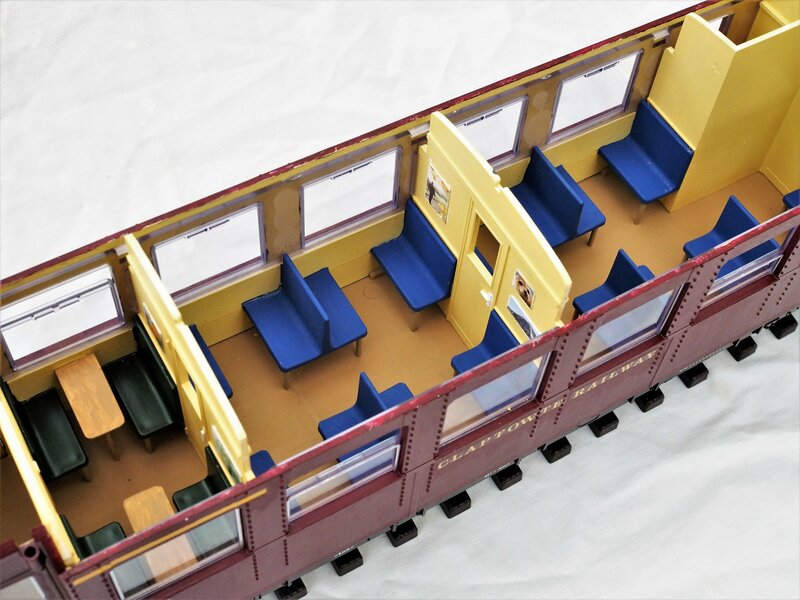 The only internal modification was to add a pair of tables, to the first class compartment, made with plasticard tops and wooden cocktail stick legs. The biggest change of appearance was achieved with a paintbrush. 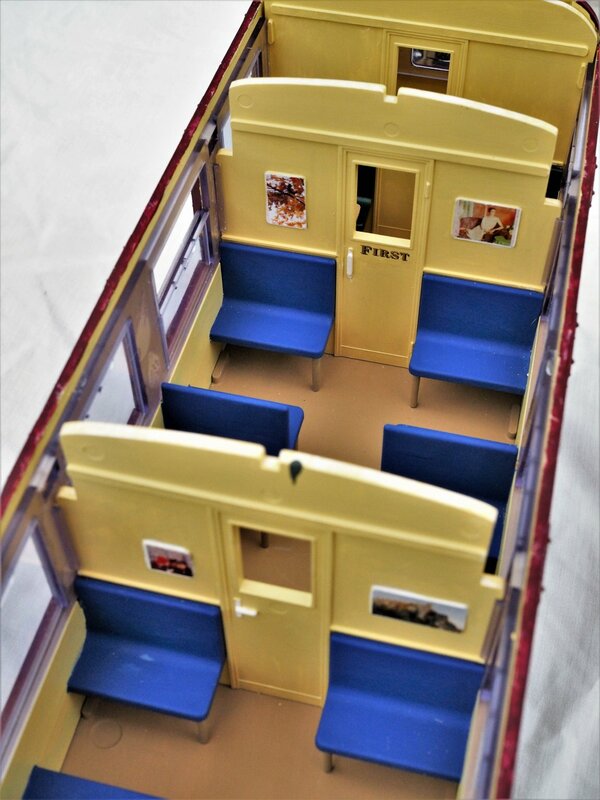 Pictures, cut from various leaflets and magazines, were used to cover the picture frames on the compartment walls. Very nice. 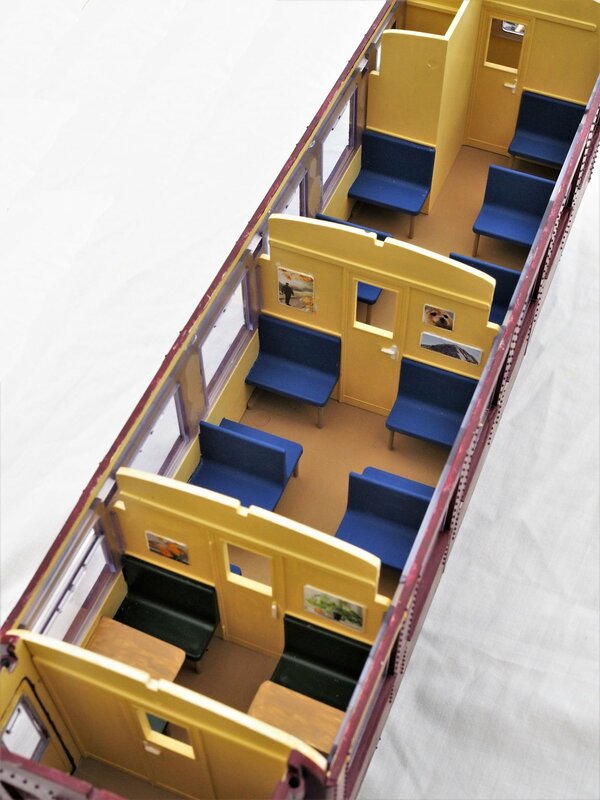 I love those LGB 3x62x coaches. Yes, I've a fair few of these myself, including a couple on NQD underframes. Great looking coach. I like the red/brown livery and golden lettering very much. Well done!